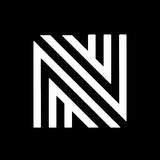 Tapis Normandy is a family owned and operated business which has been catering to consumers, designers and decorators within Montreal and surrounding areas since 1969. Once situated in the Town of Mount Royal in a small second floor suite, we've since replanted our roots in Montreal's West Island where we have opened a beautifully designed retail showroom housing broadloom, area rugs, runners, luxury vinyl and various types of flooring including many exclusive items. Tapis Decor Chantilly is a residential and commercial design company owned and operated by Irwin Taiger. 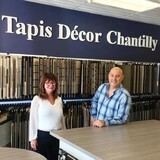 Situated in Town of Mount Royal, Tapis Decor Chantilly has been proudly serving the Montreal community since 1983. We specialize in carpet, flooring, blinds, fabrics, drapery, vinyl planks and custom made area rugs. We offer personalized attention, and cater to our client’s individual needs. We carry brands such as Hunter Douglas, Maxxmar, Altex, Sol-R, Shaw, Mohawk, Beaulieu, Masland,Dixie Home, Milliken, Godfrey Hirst, Momeni, and Surya to name but a few. If you are looking for quality brands with excellent service at competitive pricing, then come in and see us. Floor coverings, window coverings, wall coverings, and much much more, all under one roof.Call us at 514-388-6060, and come discover what everybody is talking about. The largest selection of rugs and carpets in Quebec. Le plus vaste selection de tapis et carpette au Quebec. Modern , traditional, shags, cowhides, custom made, designer rugs and more. Moderne , traditinel, peau de vache, shag, fait sur measure, designer et plus. We make the finest quality cowhides with the most sophisticated designs, to bring you, with each product, a unique creation of luxurious leather. You only need to touch one of our cowhide products in order to feel its incredible softness and fine quality. Natural cowhide rugs, patchwork cowhide rugs and cowhide accessories, such as table runners, table mats and cushion covers, are the perfect accent for any decor style: from ranch homes to modern lofts, offices and hotels. A wide selection of cowhide colors, patterns and sizes make any space look stunning and elegant. They are perfect for use at the head of a bed, across a couch, as a covering for coffee tables, end tables, dressers or night stands. There are so many different options to choose from, the perfect one is waiting for you! 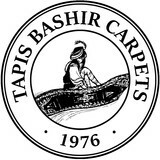 Depuis 1976, Tapis d'Orient Bashir offre un vaste choix de TAPIS MODERNE et de TAPIS TRADITIONNEL fait à la main. Un embarras de choix est offert, soit plus de 3,500 tapis authentique dans notre magasin situé au boulevard Décarie à Montréal, Québec. Nous servons le marché local et international avec d'autres services aussi tel que des évaluations de tapis, le nettoyage et la réparation de tapis et beaucoup plus encore. Au plaisir de vous recevoir ! Since 1976, Bashir Persian Rugs have been offering high-quality handmade MODERN RUGS and PERSIAN RUGS to to both local buyers as well as internationally. Our showroom located in Montreal, Quebec, Canada offers over 3,500 genuine fine rugs, one of the largest selections in eastern Canada. We also offer professional area rug appraisals services as well as carpet cleaning and repair. I have been in business since 1990, as a former technician of Eatons Home Cleaning I have adhered to the strictest guidelines and proper cleaning techniques to deliver the best cleaning possible. I only use the industries best cleaning products to obtain the highest quality results. As an owner operator I guarantee each client gets all the attention needed so you may obtain the highest quality workmanship. I never look at my watch I do each job until it’s done right, the first time! Word of mouth is the most important form of advertising in this business. Every job I do is my chance to make a lasting impression and I strive to do that with every cleaning. Flooring and window covering showroom. Expert decorating assistance. Residential,commercial products. Custom stair runners and area rugs. Hardwood and engineered wood flooring. Custom colour available. Serving Montrealers for over 50 years. "Carpette Multi Design", une entreprise au service de sa clientèle depuis déjà 20 ans, située au cœur du carré union à Montréal. Nous offrons le plus grand choix de Plancer de Bois franc, Engineered, Carpette et tapis. "Carpette Multi Design has been servicing its clients for over 20 years, situated in the heart of Union square in Montreal. We offer a vast selection of hardwood and engineered hardwood along with a wide selection of wall to wall carpeting and area rugs"
Leading internet retailer for beautiful one-of-a-kind handmade, hand-tufted and power-loomed area rugs. We source our products from all over the world. Renovating? You build the home of your dreams? For nearly 20 years, Couvre Plancher 2000 St-Hyacinthe is known for the quality and diversity of its products. Our team of specialists will be happy to assist you in finding the floor coverings that best suits your needs. Whether you need hardwood, engineered wood, laminate flooring, underfloor heating, ceramic, carpet, vinyl, carpet or even natural stone for walls, we have the solution for your project! Moroccan Rug & Home Decor store. Offering Large collection of Vintage Rugs. Beni Ourain, Shaggy Rugs. Colourful, contemporary & minimalist designs. Runners. Lightning & Home decor Accessories. Red Carpet & Rug is a trade showroom located in Montreal and Toronto that services the design community, offering the most exciting and innovative products. We pride ourselves on having products that meet the unique needs and budget of your projects, whether residential, hospitality, or commercial. We offer the designer personalized service from the concept stage to the installation. Please visit our online gallery to see a sampling of the diverse product lines that we carry. Whether a custom area rug, wall to wall broadloom, or a stair runner, we do the fabrication and provide complete installation. Please visit one of our trade-only showrooms to view our complete line of products. Kordestani collection is a collection created by Ronak Kordestani, Artist and Collector of vintage rugs and textile Goods. In her store you will find carefully selected vintage rugs, that are designed by herself including some of her exclusive paintings. she has been designing rugs and textiles for almost 10 years with consistent practice in painting and Fine arts. Her passion for handmade rugs grew along the way with my her practice and design career and after a long research and traveling exclusively around the globe, she created her first own first collection of handmade vintage rugs. Eli the floor guy Inc. I have been installing wood flooring as an exclusive occupation since 1998; I am, and will remain a sole operator and as such you will not have to worry about who is coming to your home to improve your biggest asset and what kind of work they will do. I can also point you in the right direction at the outset of the project for purchasing materials, as I am not beholden to any one supplier; I will give my honest, unvarnished opinion as to the type of flooring you are interested in. Carpet dealers in Grosse Ile, MI help homeowners choose the correct carpet covering for their floors, and also assist with carpet maintenance. This includes determining factors like material, carpet pile, durability, color and size, as well as helping with any custom carpet design. After completing the initial installation (which includes removal of the old flooring, if applicable, and surface prep), they may also handle follow-up maintenance requests such as carpet cleaning, carpet repair and carpet stretching. Find a carpet dealer on Houzz. Narrow your search in the Professionals section of the website to carpet dealers in Grosse Ile, MI, and read reviews and ratings for pros in your area.